Mitchell Starc huffed and puffed and blew a house down but Virat Kohli and India are still standing despite a fired-up Australia landing several stinging blows on an exhilarating day's play which has left the second Test hanging on a knife's edge. After months of navel-gazing over what the team stood for, Justin Langer's men dialled up the aggression to a level that would have had their forefathers nodding in agreement without upsetting those who want their cricket played in a more cordial manner. 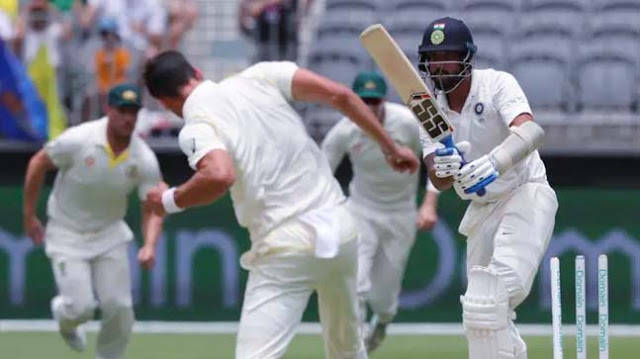 There will be few better advertisements for Test cricket than the second day at Optus Stadium which saw master batsman Kohli fend off hungry predators as he led his Indian team through unfamiliar territory. Australia's high-class attack weeded out the weak links in India's line-up but their most accomplished batsmen – Kohli, Cheteshwar Pujara and Ajinkya Rahane – were up for the fight. In pursuit of Australia's 326, India were 3-172 at stumps on the second day with the second new ball 11 overs away. They are carrying a long tail which suggests it could be six out all out. It has been a wretched year for the men in the baggy green but they are firmly in this contest. 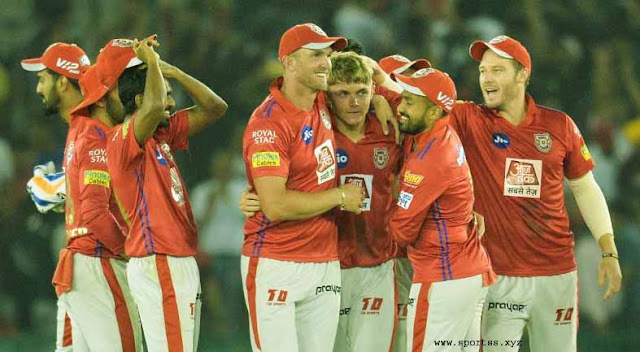 Their batsmen have belatedly given their attack something of substance to defend. A team with Steve Smith and David Warner would most likely have banked more than 326 but it's a marked improvement. It was the first time Australia have scored more than 300 in their first innings since their crushing win over South Africa in Durban, seven Tests ago – though it feels like an eternity given what has happened since. The big three of Starc, Josh Hazlewood and Pat Cummins tested India physically and mentally. Their physio Pat Farhart was kept busy. Rahane was hit on the thumb by Hazlewood, and Kohli was struck twice on his arm and in the solar plexus. Deliveries that either endangered the batsman's wicket or physical wellbeing were accompanied by choice words and glares, which added to the theatre without detracting from the spectacle. In years gone by, Kohli may have rapidly escalated a situation with his mouth; here he defused them in emphatic fashion with his bat – be it a sumptuous on-drive or a clip off the pads which re-established his authority. Cummins, who appeared the most likely to dislodge Kohli, was arguably the pick of the bowlers but the wickets went to new-ball pairing Starc and Hazlewood. The game found another gear when Rahane replaced Pujara, who was strangled down leg side by a fired-up Starc, only to return to its default setting soon after. Rahane took on the short ball early, racing to 17 at better than a run a ball, but the scoring dried up as Australia adopted a more considered approach. Starc released a week of pent-up frustration on a hapless Murali Vijay, cementing the India opener as his bunny. Pujara's defiance in Adelaide papered over the cracks in India's top order. 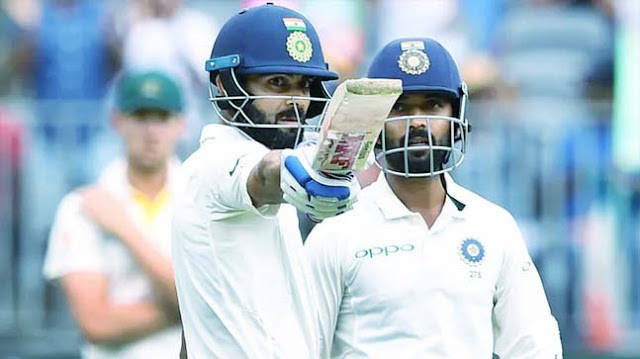 Murali Vijay and KL Rahul have enjoyed success against Australia in the past but they are finding life difficult this tour. Though Marcus Harris and Aaron Finch still have work to do to prove themselves as Test openers, they are proving to be the superior opening combination. The value of wonder kid Prithvi Shaw is rising with every Test he misses. Rahul perished to a pair of loose shots in Adelaide but here he was no match for a swinging yorker from Hazlewood. Vijay is proving the weakest link. The 34-year-old is resembling a veteran whose Test career is coming to an end rather than the fluent stroke-player who has made 12 centuries. He has become a walking wicket for Starc, who has dismissed the Indian opener three times in as many innings this series and six times from seven Tests. Starc let out a guttural cry after curving a 144.9 km/h thunderbolt though a gaping gate. As far as shows of body language go, Starc was more alpha wolf than the meek and mild character portrayed by a cast of former greats, including Shane Warne.